Typemock's CEO gives an interview on a pain point that many tech executives know. Let's see what he has to say and what he's doing about it. 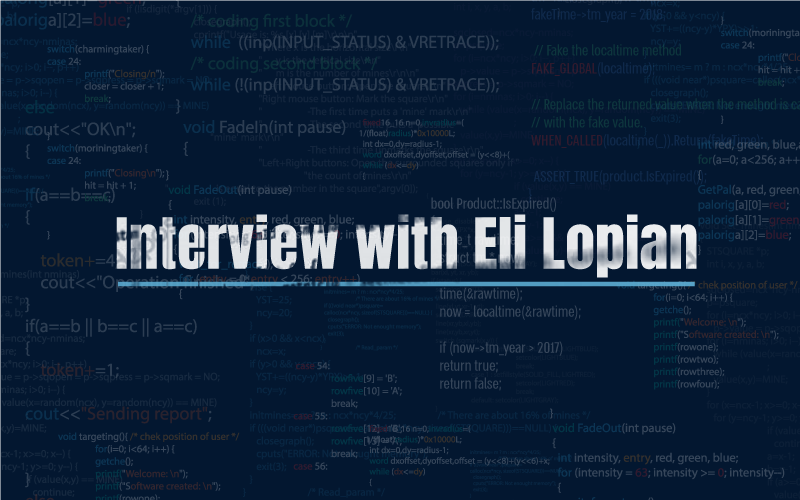 Eli Lopian, Typemock's CEO, was very frustrated by the lengthy time it took to develop software due to issues with testing. Therefore, he found a solution together with a few other people and as a result founded his own company. Artificial Intelligence can assist in many aspects of the computing world and life in general, and apparently, it can also help with issues resulting from sloppy QA or from QA implemented incorrectly. At least according to Eli Lopian, CEO of Typemock. According to Lopian, "In my professional life I was very frustrated by the fact that developers would develop their applications in three months, however, it took QA up to 9 months to test them. This resulted in quite a few arguments between the developers and QA: QA claimed that it was a bug, and the developers claimed that QA didn't understand how to use the new features. This lead to tremendous discontent and I tried to understand why this happens. When we looked into it we realized that the developers check their product before they transfer it for testing and approval, however, the problem was that they don't test how it affects things retroactively. We understood that we need to intervene, and this is how Typemock was born." He pointed out that the idea to start the company came about at the time when the dominant rapid development method was Extreme Programming and told us that following a random meeting, he decided to adopt this methodology in the company where he worked. "It took some time, but eventually the programmers started writing automated tests for their code instead of performing automated checks. That way, every time that new code was written, regression tests were also performed, and once a bug was found, it was solved prior to being transferred to QA. This was very efficient and the process flowed very smoothly and quickly. It shortened the entire development process, and everybody was happy - including from a business angle," he added. The problem was, Lopian said, that it's very difficult for programmers to write those tests. Typemock was created to provide them with the safety net they needed, automating the actual writing of the tests. "The goal was to further accelerate the overall development process of software, especially in large organizations, where there is a lot of it," he added. "On the one hand, the QA process was significantly shortened, while on the other hand, a new hurdle was created, a time-consuming process of writing tests manually. We help thousands of our customers to develop their software in a much more agile way, resulting in a significant improvement in time to market." Recently, Typemock released the fourth generation of their software, allowing programmers to implement something new — deal with old code they had not written themselves. Lopian added, "We use AI to construct the tests for this code automatically, and also enabling to build on these tests to add new sections to the code, as well as add features, knowing that if something is wrong, the tests that were automatically specified, will pinpoint the problem. Thus, just like in development from scratch, it will be possible to fix problems arising from existing code." The application currently works with C# and C++. Lopian believes that it's a good fit both for companies just starting out wanting to move forward with their code relatively quickly, as well as for companies that have a significant amount of existing code, aiming to ensure that everything will work efficiently when they wish to move forward. He concluded, "At the end of the day, the goals are to develop your software expediently in order to get it on the market, where it's relevant, and also to know that your legacy code will still work for you, because that is where your intellectual property is, and that it won't slow you down, nor make you grind to a halt." If you'd like to read the original interview, please click here.